How does it sound to have five different combinations of enjoying two completely different spots during two different holiday seasons, packed in only two backpacks? For as unbelievable as it sounds, it does exist and it’s called Klepper Backyak and it offers a unique way of participating in your favorite sports and whether it’s just for recreational or for more competitive occasions, this is the perfect thing for you. This is the ultra-versatile product and as it’s suggested in its name, it is a kayak that can hike to water’s edge on your back. 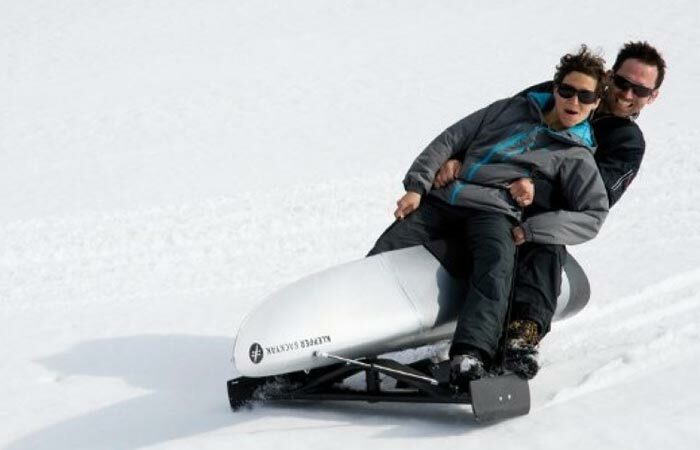 But in addition to this, it can also transform into a sailboat, a snow sled and a floating sun deck depending on what you feel you’d like in a particular moment, and of course, holiday season. 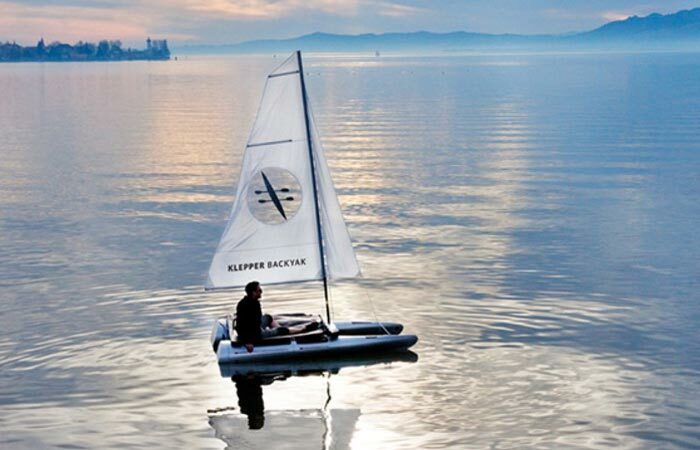 Johannes Klepper launched a trend with first foldable kayaks over one hundred years ago, and up to this date it stayed popular among people who prefer this water sport. This product continues building a tradition of very well built products, integrating German engineering with modern, lightweight and extremely robust carbon technology. The six-piece vessel breaks down into two separate 22lb, drum-shaped backpacks that strap to the shoulders of two paddlers by way of the attachable harnesses. 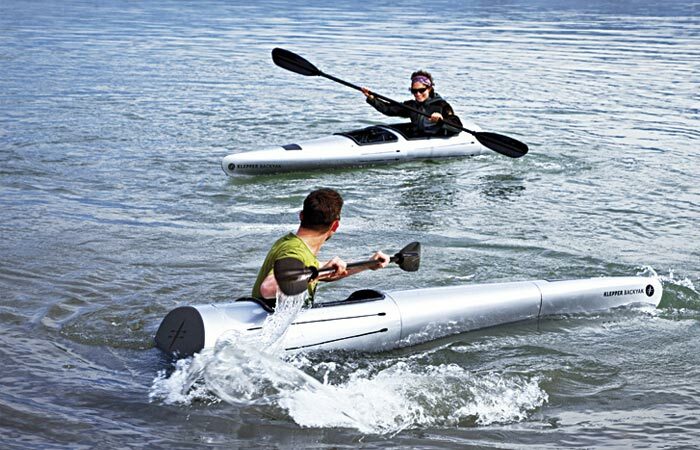 This allows the two paddlers to get the kayak to water, and it doesn’t matter if they travel by foot, bicycle, public transportation or by car. So, as you can see it is really easy to transport it, and it even looks easier than other modular designs, thanks to the fact that it works as its own backpack. Klepper says that this kind of a design offers enough stability for rivers and oceans, but it is also recommendable to use air sponsons should you chose and prefer rougher waters. 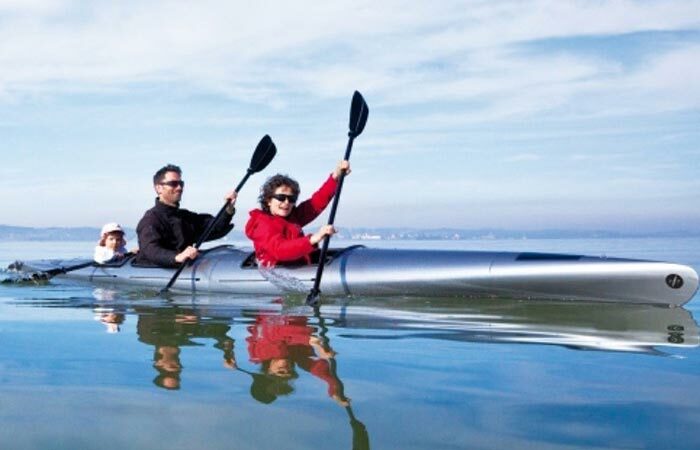 And at the water, Backyak can be constructed into a kayak with the dimensions of 5.4 m which is big enough for two adult seats and one for a child, as well as enough storage space for equipment. It is easy to handle and steer it even alone. If you split the Backyak, and put on the end caps, you get two boats. In this way you can have a perfect adventure with either one more person, or you can explore on your own. But, if you just want to relax, you can take the “relax set” option out of the backpack and go wherever you like or take the opportunity to sunbathe a little bit while floating on the water. And if you always wanted to see how it is to go sailing, then assemble your catamaran in only 10 minutes and enjoy the ride.